Ikea is taking furniture into the future with a brand new collection that integrates wireless charging. Swedish retailer Ikea is waging a war on wires, as it announces as a new collection of furniture with built-in wireless charging spots. 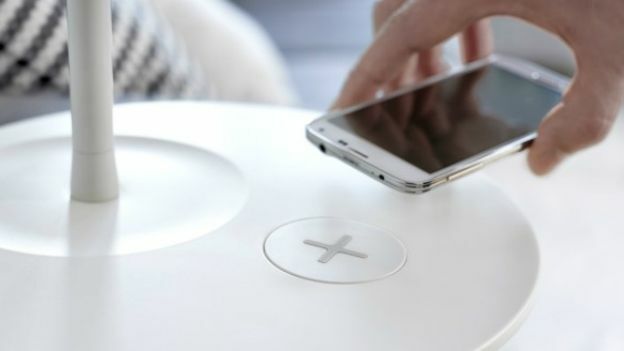 In a bid to cut out the cable clutter and improve the aesthetics of the modern home, Ikea is rolling out a wide range of wireless charging products including bedside tablets, desks and lamps. With several charging spots scattered around the house, it will enable several mobile devices to charge simultaneously, without users having to traipse wired chargers from the mains. "We have created smart wireless solutions so you don't need to see the cables anymore. Many products can be charged at the same time, but you still have a beautiful wireless home", said Ikea designer David Wahl. The charging spots utilizes the Qi wireless charging standard, which is commonly found in Android devices. However Ikea also plans to sell a selection designed for the iPhone 5S and iPhone 6 as well as Samsung handsets including the Samsung Galaxy S4, and Samsung Galaxy S5. Ikea will launch its teched-up range in Europe and the US, before rolling it out around the world. The new collection will reach UK Ikea stores from mid-April 2015, with products starting from £30.